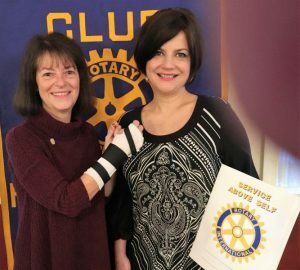 FULTON – At a recent Fulton Sunrise Rotary meeting, Janet (Cashman-Shipmen) Lake, right, was inducted as a new member. She is a financial advisor with Lake Financial Services. Pictured with her is club President Linda Rossiter.